Modern Chic with a hint of 50s glamour! 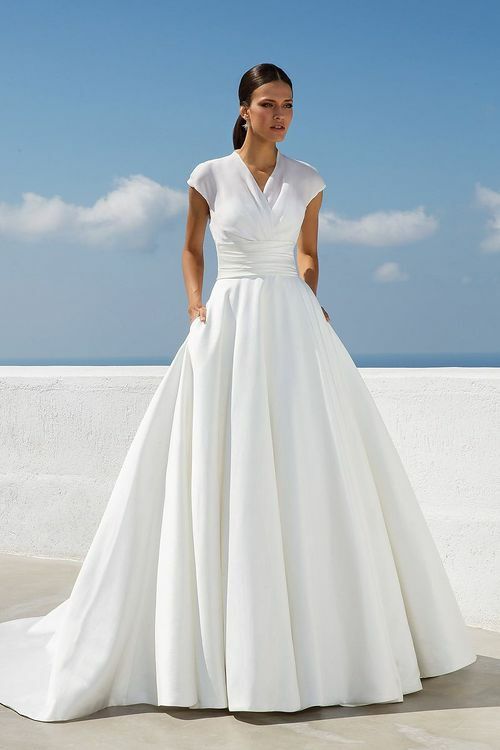 This stunning Justin Alexander gown features a soft cross over neckline, cap sleeves and a full A line skirt with buttons running all the way down the train. Light weight and easy to wear!